The industry of wedding photography in New York City is quiet huge that you have to take some time in order to hire the best photographer for your wedding. In order to do so, there are several factors that you need to consider because there are a lot of New York Weddings and you are technically searching for a rare talented professional out there. 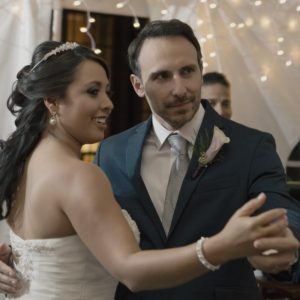 You can start searching for the best wedding photographers in New York City by reading online reviews that could lead you to a few names of famous wedding photographers that could provide wedding photos of high quality. Visit their official website, red reviews and feedbacks about them and evaluate their gallery if they posted one. As much as possible, seek recommendation from your friends or relatives who have been married because they might be able to name a few with quiet impressive photography skills. With that being said, visit your aunt and ask for her wedding photographer. You could also take a look at their wedding photos and ask yourself if you wanted the same photos as her during your wedding day. Long before your wedding day, you should be able to decide on the style of the photography that you would like to have during your wedding day. Now as you are looking right through their portfolios, always take note of the lightings, the edits, the effects, colours and style. If it perfectly matches the style that you are looking for then you can consider setting up a meeting with the wedding photographer so that you two could talk about the wedding. There is nothing much worse than posing in front of a camera when you don’t even like your wedding photographer in the first place. It would make you look awkward and uncomfortable and aside from that, your suggestions will be kept into you because you don’t even want to talk to him. It is your wedding album, not just some another project of the wedding photographer so make sure that all of your ideas and styles are incorporated. Your wedding photos will reflect your personality and it’s an event that happens once in a lifetime so make sure that it’s worth it. It’s not only you and your husband who will be working with him but the rest of your family members and guests as well.